What is the Perkins Police Department Autism Registry? 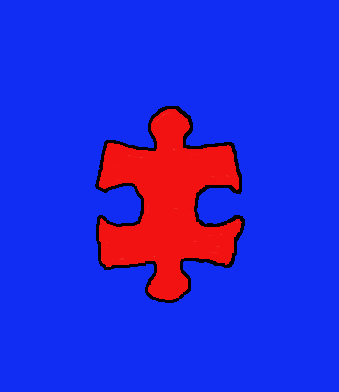 The online registry promotes communication and gives police quick access to critical information about a registered person who has been diagnosed on the autism spectrum in a police emergency by capturing information such as a full description, routine/favorite attractions, communication and other special needs as well as emergency contact information. · Can individuals with other communication disorders participate with this registry? Or is it restricted to those who fall within the Autism Spectrum? Although registrations will be limited to individuals with Autism Spectrum Disorders (ASD), the registry has been developed with the intent to expand into all communities where communication is ineffective when interacting with police. This expansion will be considered upon completion of a formalized evaluation. · If I don't live in Perkins, can I still register my child/dependent adult on the registry? If you do not live in Perkins but your child/dependent adult comes to Perkins on a regular basis. (i.e., for school, daycare, etc. ), then you should register. If the registrant is not in Perkins regularly, there would be almost no benefit to registering. · As soon as I send the registration, will the information be immediately available in case police response is required? No. The registration form will need to be entered into a number of policing systems in order to capture all relevant information. It is hoped that this process will be quick but it may take up to two business days to be fully processed. · Who has access to my child's/dependent adult's profile? Perkins Police personnel who require this information in the performance of their duties will have access to the information. There are strict regulations with respect to accessing and disseminating information. Information is shared by all police agencies; however, consent of the individual involved, or their parent/guardian, is required before any information is shared among police agencies, which includes the school system. · Can I update my profile more than every year if there are changes? How do I do that? You may, however, only information that has a significant impact on policing response will be necessary. Some examples would include a change in address, school, or emergency contact. You do not need to report a change in hair cut or color, for example, as the police are familiar with the changes that can be made and are more likely to notice height, weight and eye color. · Will I be notified about annual renewals? · After my child/dependent adult is registered, and if there is an incident, do I need to do something to notify the police? It is preferable that you let the police know that the individual is already registered. In doing so, the information will be immediately disseminated to the officers without having to ask the parents during a high stress situation. · How will this registry help if my child/dependent adult goes missing? If the individual goes missing and is reported by the parent/guardian, information about his/her physical appearance, the most likely places where he/she would go to, as well as triggers, stimulants, and de-escalation techniques will be sent to every police officer in the area who is looking for the missing person. If the individual has not been reported and is incapable of effectively communicating his/her name to an officer, a computer check of the neighborhood, coupled with the physical appearance, may allow us to identify the individual more quickly. This will then allow us to use the contact information to connect with the parents/guardians. · What guarantees do we have that the interaction between our child/dependent adult and the police will be positive once he/she is registered? There is no guarantee with this registry of positive outcome. What the registry allows is the ability for patrol officers to have necessary information faster to begin searching. Also, if an officer comes across a "wandering" child who is unable to communicate, the officer, if they recognize the condition, can have the database queried for persons on the registry that live in the area. What is important to stress is that simply having a person registered with the registry is not going to change police responses in every instance involving an individual with ASD. Police will act according to procedure depending on circumstances.